The Next Generation World Hobby Fair '19 Winter is currently underway. Today, we will give a status report from the Tokyo fair, which was held in Makuhari Messe Saturday January 26th and Sunday January 27th! The Pokémon Booth included a gigantic "Mewtwo Strikes Back Evolution" installment! In addition, "Mewtwo Strikes Back Evolution" flyers were given out next to the booth, together with Next Generation World Hobby Fair-exclusive "Pocket Monsters Sun & Moon" multi stands. "Special Pokémon Anime Concert & Talk Stage Shows" were held at the stage inside the Pokémon Booth. challenging them to Pokémon tongue twisters, and more! and "Pose" and "Kimi no boken" by Taiiku Okazaki, sending the venue into a state of excitement! During the afternoon show, Sunshine Ikezaki was present as well, making the show even more passionate!!!!! everyone were holding their breath in excitement during the thrilling battle against Ultra Necrozma! and where victorious players were entered in a lottery of which winners got to challenge Gym Leaders to a battle! An air of enthusiasm was constantly surrounding the Pokémon Booth! 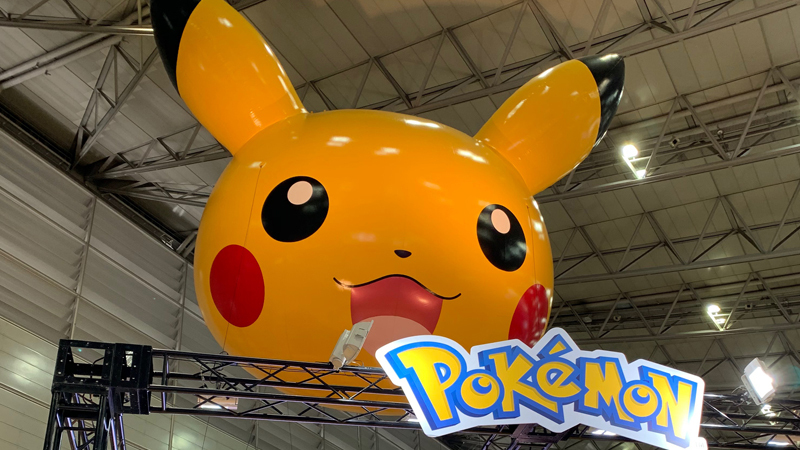 the "Pokénchi Presents a Special Pokémon Stage Show" was held at the World Hobby Fair Stage. enjoying the teaser for "Mewtwo Strikes Back Evolution" on a gigantic screen. Both kids and adults had a blast at the show, and the audience even included dads and moms who said they had watched the first Pokémon movie when they were kids! The Next Generation World Hobby Fair '19 Winter Tokyo fair ended up being a great success, the atmosphere having burning with excitement so heated it even blew away the cold midwinter air. The Next Generation World Hobby Fair '19 Winter Osaka fair is planned to be held in the Kyocera Dome Osaka on Sunday February 17th!